What this means is that you want all the names and phone numbers from the table called phonebook. When the query is executed the results will show the Contact ID, the position, the First Name, and the Last Name. This is a generic sql statement because it does not filter anything. Example #2: Here is an example of a filter in action. This query will show only the results to only those persons who are programmers. Technicians, for example, would be excluded. In this example, you are searching two tables to get the required information, which is the ContactID, the Firstname, Lastname, and the DepartmentName. This is a multi-filter technique because it connects the query to two tables to get the required information. You can read more about SQL at An Overview of Structured Query Language. Now that we showed some basic SQL queries, what programs are available for non-programmers? Start with Microsoft Access. It is a database system, and it comes with Microsoft Office. It allows you to create databases, tables, and populate them with data and create reports. From this image it is easy to see how the tables are related. Two are related by CourseNumber and two by StudentId. Furthermore, you can follow the relationship from the first table to the third table. 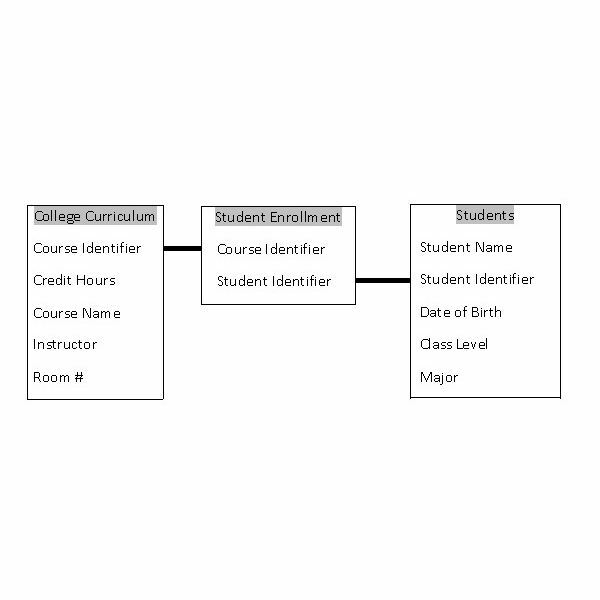 It is this visual information system that makes Access a good starting point for learning SQL basics for non-programmers. SQL Server 2005 and 2008 are software programs for professional database developers with a lot of experience in database design and implementation. They are not for non-programmers; however, there is valuable tool available to them, this is the Reporting Services feature of the database. Microsoft's SQL server edition has three services, Analysis, Integration, and Reporting. A non-programmer could use the Reporting Services tool with the help of an experienced programmer, who would set up the parameters and let the non-programmer run the service. Microsoft has made the reporting services a flexible tool, and non-programmers are able to work with it. Microsoft even states that the tool will is flexible for users with limited or no programming background to create their own reports and explore corporate data by using Microsoft Report Builder 3.0. This program is valuable because it lets users re-use existing report components from a shared library. No deep technical understanding of the underlying data structures is necessary. Using these tools, non-programmers can be in a position to help their company by taking on the task of producing the reports and even modifying them as time and circumstance may require. Oracle is a database software company whose products are devoted to database operations. For non-programmers the Oracle approach is not straightforward. Oracle does not attempt to make their program accessible by anyone other than professionals. This puts the onus on learning what the language and the development tools will do. For non-programmers, the option to use Oracle comes from third party tools that can do reporting services, like Microsoft's. 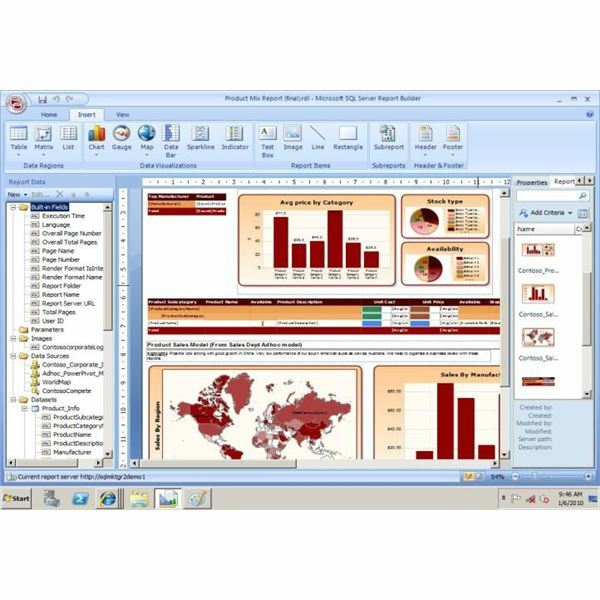 One tool, Report Writer allows non-programmers to use Oracle databases to create reports. MySQL is a free database, which anyone can download to use it. It is a product of Oracle and is open source software. That means that anyone can enter the source code and modify it, to improve its performance or make changes to make it a better product. From a non-programmer perspective, however, MySQL does not offer any better tools to use to develop databases or produce reports. MySQL depends on the developer to produce the code to develop the database. That is not something that the non-programmer would be capable of doing. Oracle and MySQL are not the only alternatives to Microsoft, see Forget Microsoft: Free Database Software Alternatives to get a preview of other systems. Microsoft offers the best database development or reporting tools to help non-programmers become acquainted with database operations. As such, either Access or SQL Server Report Writer are the best alternatives to provide measured but real alternatives to help a company stay productive. You can also read about other types of Data Management systems to give you a better understanding of database products.